When a shoulder injury took Ryan Spence away from organic farming, he wanted to find a way to keep his connection with good, clean food. A vegan for nearly a decade, Spence was no stranger to experimenting with flavour in the kitchen, but it was a Christmas gift from his mother that pushed him to try and make a superior cheese substitute topping. “I took inspiration to try and make something better,” he says. “On the market today most vegan products or dairy alternatives are filled with chemicals or additives, and have plastic packaging that’s not reusable. It doesn’t really reflect the values of the target market.” And so Good Parma was born. 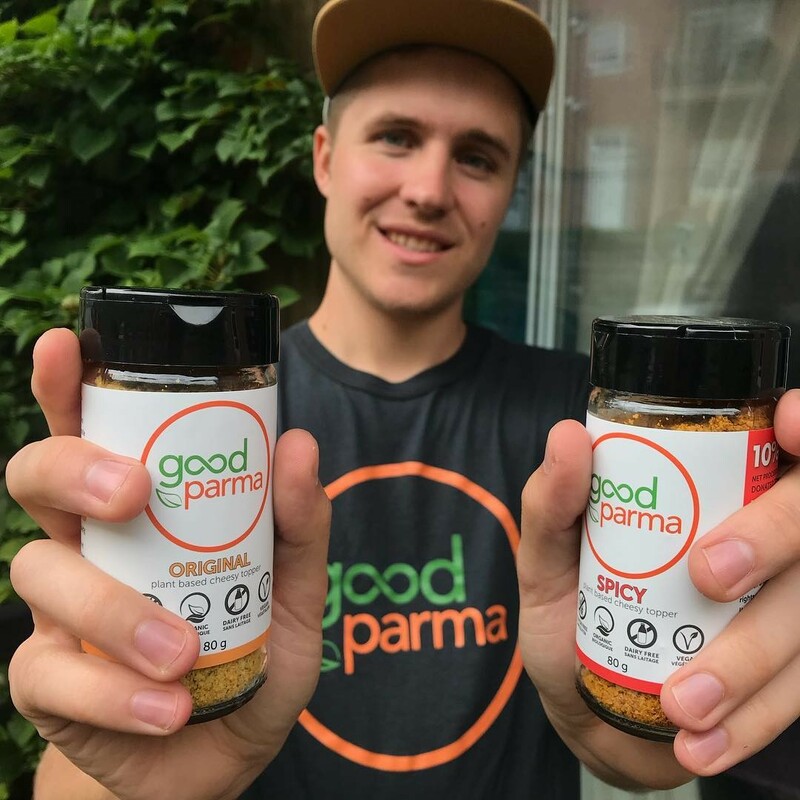 After being tested by “picky siblings” and at vegan potlucks, Spence debuted his product at Halifax Veg Fest back in September—now 12 retailers in town carry his product. “It’s really addictive. People are like, is there MSG in this?” he says, laughing. With a main ingredient of organic walnuts, he says Good Parma (which comes in glass containers, in original and spicy flavours) doesn’t really taste like parmesan, but provides a texture that’s more satisfying than a typical nutritional yeast topping. Find Good Parma Saturdays at the Halifax Forum Farmers’ Market (1209 Marginal Road)and this weekend at the Dalplex Christmas Craft Market (6260 South Street).